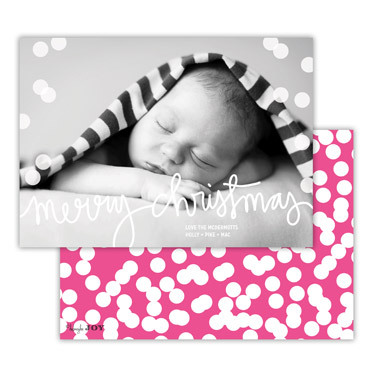 Description: Dabney Lee 5"x 7" flat cards are fun and colorful and perfect to show off your holiday photo. Greeting is positioned as shown and not changeable, but your choice of ink color. Back is as shown. Your choice of envelope color. Envelope lining and Return Address can be added.